“We’re making good progress on the ship and the booster,” he said. “That design is evolving rapidly” from his presentation about the BFR concept at the International Astronautical Congress in Australia in September 2017, which itself was a revision of the design presented at the same conference a year earlier in Mexico. That schedule is similar to what Musk said Feb. 6, during a press conference at NASA’s Kennedy Space Center following the successful inaugural launch of SpaceX’s Falcon Heavy rocket. “If we get lucky, we’ll be able to do short hopper flights with the spaceship part of BFR maybe next year,” he said then. Those “hopper” flights, he said in February, would be analogous to the low-altitude flights of the company’s Grasshopper test vehicle, which demonstrated technologies required to do powered vertical landings of Falcon 9 boosters. “We would either do that at our South Texas launch site, near Brownsville, or ship-to-ship,” he said, later saying those tests would “most likely” take place at the Brownsville site currently under construction. Those hopper flights would go up to an altitude of several kilometers. “We’ll do flights of increasing complexity,” he said last month, including tests of heat shield technology. 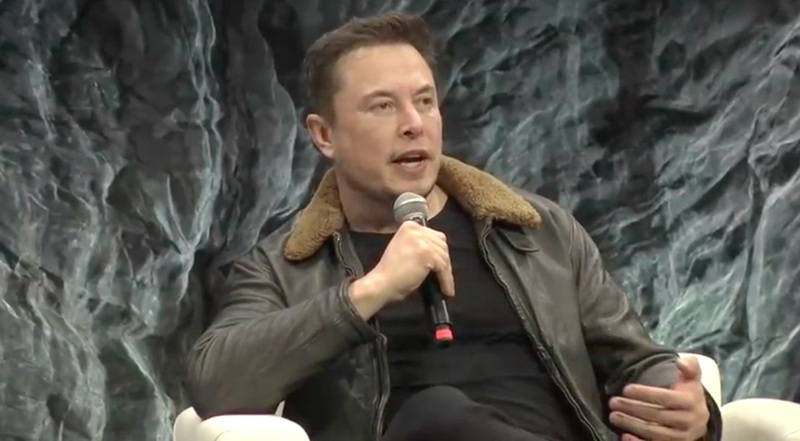 At the same time Musk was speaking at SXSW, Dan Colussy, the former chief executive and chairman of Iridium, gave a speech at the MIT New Space Age Conference in Cambridge, Massachusetts. He noted the scale of Starlink, which could exceed 10,000 satellites, is far larger than Iridium’s constellation of fewer than 100 satellites.